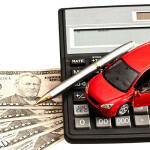 Home » Auto Insurance » What is Liability Insurance, and Why is it Required? Almost every state in the United States of American requires all drivers to have liability insurance before they can legally get behind the wheel. Even in New Hampshire, the only state where liability insurance isn’t legally required, there’s a system in place to prove financial accountability and your ability to repay any debts accrued if you’re at-fault in a collision. Liability insurance is the most basic form of auto insurance coverage, and exists solely to give drivers accountability when their actions lead to injury or damage of another person’s property. Simply put, if you’re at fault in an accident, your liability insurance will help cover the other driver’s medical expenses and repair or replacement costs. Without that coverage, you would be legally obligated to pay all of those costs out of pocket. This system protects both the at-fault driver and the victim of the collision, which is why it’s required in almost every state. Of course, the protection liability coverage offers is purely financial. If you’re at fault, your liability insurance won’t cover your own expenses, and neither will the other driver’s liability insurance – but your insurance will cover their expenses, saving you the potential tens of thousands of dollars you might otherwise lose to their medical and repair bills. Again, you are legally obligated to cover these costs, and without liability insurance, it would likely leave most drivers in financial ruins. If more than one vehicle is involved in a collision, repair costs can skyrocket, and if you are determined at fault, you’ll be responsible for all of those expenses. Liability insurance might not be the only form of auto insurance your particular state requires, but it’s easy to see why 49 states have made this a mandatory precaution. Car accidents are innately unpredictable, and every day you go without coverage is a massive financial risk. Different states require different levels of coverage, but before you can compare policies, you have to know how coverage is expressed. Typically, you’ll see amounts of coverage typed out as three numbers separated by slashes, such as “50/100/25”. • The first number in this example, 50, represents how much individual injury coverage you can receive in thousands of dollars. In this context, the number 50 represents $50,000, the maximum individual injury payout for this example. • The second number represents the maximum injury payout per incident. In this example, you’re given $100,000 of coverage towards the total medical costs of the not-at-fault’s party. • The third number represents maximum property damage coverage. In this example, up to $25,000 could be paid out to cover damages to property repair and replacement costs. This was an example of a fairly bare-bones and inexpensive policy, so it wouldn’t be unusual for the cost of an incident to exceed the coverage limits outlined above. If the costs of a collision do exceed your coverage limits, the financial responsibility reverts back to you, so every little bit of additional coverage can make a big difference. Not sure how much coverage to buy? Still comparing car insurance quotes? Call Cost-U-Less today for more information on how you can benefit from a personalized insurance-buying experience. 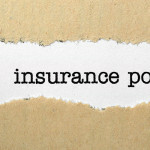 49 of the 50 states require you to have liability insurance – but why is that? We dig deep to explain this coverage and find the answer.